Today’s Online Special DealOne Month 50% OffRestrictions may apply. I love this Place. The management is Friendly and very helpful. The fact that they live on site makes me feel more secure with my things being there. When I was unloading my things into the storage unit they even offered to help me get my Refrigerator out of the back of the truck with their forklift!!! saved our backs. It is clean also no alleyways with clutter and trash like the other ones. I reccomend this place for anyone who may be needing to store their belongings. Clean, never crowded, manager is super nice. Great place with great prices! 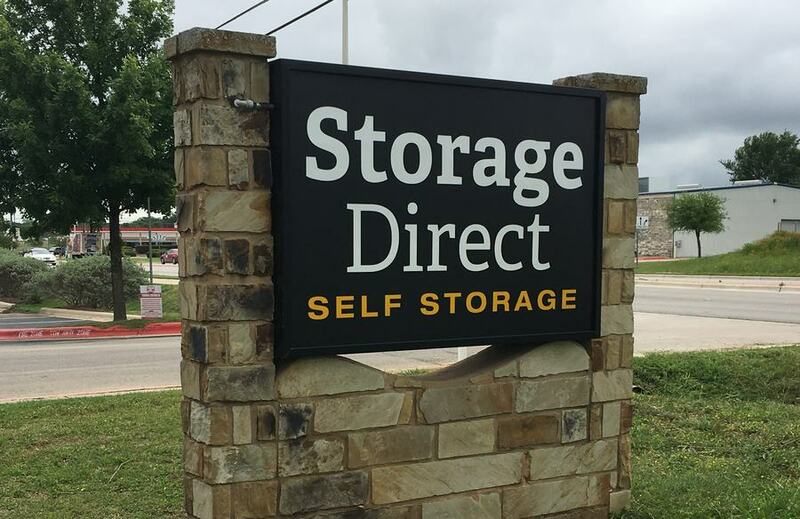 Excellent staff that was very courteous and helpful with my storage needs. Would recommend them to anyone I know! Great facility and very helpful staff! I am a new tenant to this property and the staff was very helpful and made my move easier! The property is kept very clean and secure! I recommend this facility to everyone! Great place..... love the facility and the staff. Always willing to go the extra mile to help. Will be recommending to all of my family and friends. Used it last year to keep my motorcycles. It is quite, clean and safe place! Gonna use it again! Patrick and David are stellar at what they do. I was pleased to find a company that was so enthusiastic. I look forward to working with them. Dave, the property manager, is absolutely fantastic, the rooms were spacious and easy to get to. 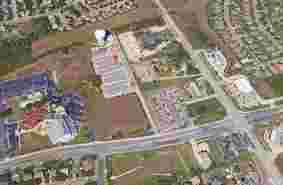 Prices were fair as well and very centrally located for people in crystal falls area. This place is secure, clean, and support is great. Dave is extremely nice, and gets everything you need done. Will definitely use this place again. I have rented about 5 units here in the past year, and will definitely come back. I love this place. Friendly staff and excellent facilities Reasonable prices! Prices change with little to no notice and the disguise them as "security fees". My House has better security than this place. They will also harass you over the smallest things. Good - Location good, pricing fair. Not Good - My gate code worked sometimes, I needed assistance getting into the facility more times than not. I gave notice to vacate the unit within 30 days and was given the green light to do so. The last week of the month I was notified through work that I would be flying out and I wouldnt be back to finish my storage move-out in time for the first of Feb. I called to request a prorated amount in order to occupy the unit for a few extra days. Apparently that doesnt exsist, but I was told that if its just a couple of days that I wouldnt have to pay any additional fees and I thought that was very helpful considering my situation. I was caught in the north east and couldnt fly home until Saturday night with the bad weather so on Sunday, the 3rd I went first thing to empty the remaining boxes I had. Since I was locked out (code wise) I didnt think anything of it considering my past issues with the key pad, but since it was Sunday there was no one in the office and no one answering the phone, long story short, I ended up paying my bill online to gain access and then called when the office was open to request a refund or a partial refund for the remainder of the month and was denied. I was told to refer to my signed contract stating there is no refunds and after the 2nd day of the month youre committed to an additional month with no exceptions. I understand it was my fault of sorts, but if the office had informed me that after the 2nd that would have been locked out, moving forward, this wouldnt have been such an issue. Just puts a bad taste in someones mouth when Im told Im good and then Im not and theres nothing anyone can do and I need to re-read my contract when it comes to partial refunds, or any refunds for that matter. Overall I wouldnt recommend this storage facility. 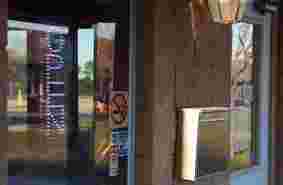 It seems the local offices dont have much control over certain situations that would benefit their customers, especially when theyre willing to pay for it. Im not asking for anything for free, just whats fair. 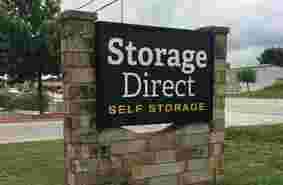 Moving forward I would suggest that Storage Direct make sure their systems were updated, maybe a Sunday service rep, and consider a prorated payment schedule. 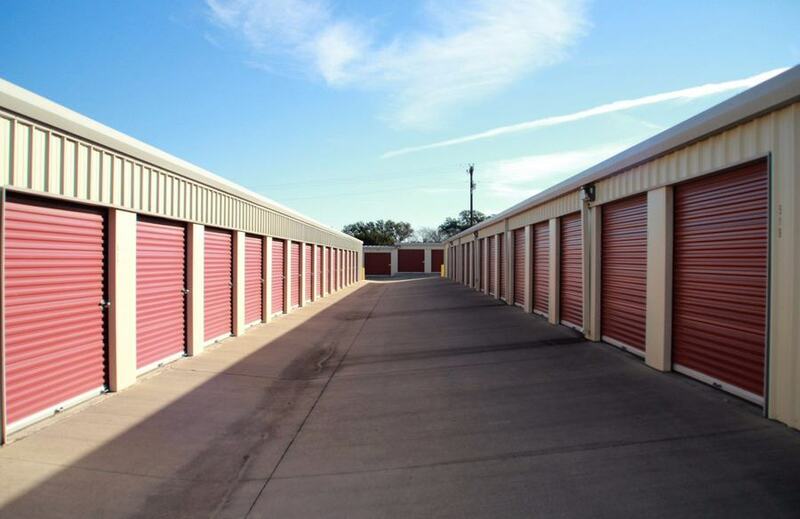 And if no other storage facility offers that, then I think this is a clear area of opportunity to stand out against the competition and offer something that future customers would appreciate. Thanks. So, my storage space was supposed to be $83 per month. On August first they charged me $95. I had to call repeatly to get the manager to call me back. They were supposed to refund me the $12 overcharge. Did they do that? No, they came back & charged my card an additional $83!! So now I have been overcharged $95, and not a refund in sight! So now it will (again) take 6 or 7 phone calls to try to get the manager to call me back! Worst customer service ever! I would not recommend them & would give them a negative 5 stars if I could! Do not rent a unit from this company. I had to fight and pay late fees when we first signed up for auto draft because "they didn't receive the paperwork". When my bank changed our debit card, the auto draft stopped (obviously) and I called, paid the late fee and asked for the new form to set it back up. Once again, "they never got the form". Had to call and pay another late fee from the letter I was sent. Checked my account the next day and they had charged me a different amount and were preparing to place my unit up for auction. We are moving all our stuff out this weekend before something else happens with this company! Buyer Beware. I was charged $95 for a storage unit I no longer am using. I spoke with the manager and he told me he would have it credited back to my account. This was two weeks ago and not only has the charge not been credited to my account, but the manager will Not return my calls. NOT happy at all! Oh, and "$95"?? This is Not the price I was quoted when I reserved the unit, it was supposed to be around $85. What are these secret charges? Heartless.... My poor mother who is battling Cancer with bad insurance coverage and very expensive Cancer Medicines her storage unit has fallen behind unfortunately for the second time in 7 months.... It is everything she owns pictures of her parents who have passed. She is so sick her mother passed away this past August and she was so sick not to mention broke she could not attend services in New Jersey. Tried to call and ask the manager for a little more time with all the circumstances and he flat out said no. My poor Mother is devastated and I cannot afford to help since I quit working to take care of her and my husband works so hard to provide a home for us. Ive been with this site for 3-4 years. Initially, they were amazing. Friendly, courteous and helpful. Within the last year, however, they have become ridiculous. Rude, confrontational, unorganized, unprofessional, etc. When I switched to a smaller unit, I advised them to enroll me in auto draft, which I found out much later, hadnt ever been processed, and then the price I was told in person, suddenly TRIPLED! Then when I relocated out of the area to help with some family needs, I had been to the site in person multiple times to update critical information for my file (phone number, address). Each time this has been updated, I find later per nasty email, that somehow the staff didnt manage to keep the information in my file or update it in their computer. On top of all that, they cant accept updated contact information via the email they contact me through, but they can release confidential information in the emails they send me? Now they continue to inform me that I must come in IN THE FLESH per the AREA manager, talking to me like Im some kind of idiot. After several requests to speak with the AREA manager, Im told Sorry you cant. This is policy. What kind of company doesnt make their management available to customers? This is INSANE! If I were you, Id keep driving! As soon as I can get my things moved from here, I will and I wont be looking back! I am currently trapped inside the facility and the police are here and even they can't help me. They're calling the fire department. This facility doesn't admit anyone after 9pm but guess what? They don't let you LEAVE after 9 either. So I get here to grab Christmas presents for my family at 8:40pm. I loaded up the presents and at 9:10pm attempt to leave but the gate says "DENIED No Late Exit". I am TRAPPED in the facility. I completely understand locking out codes for 9pm arrivers but locking IN customers who are here?? This makes NO sense. I'm done with Storage Direct. Located in Cedar Park, TX, Storage Water Tower is open M-F: 9am-6pm, and Sat: 9am-5pm with daily gate access hours from 6am to 9pm. 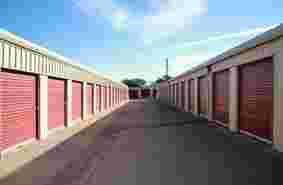 Our self storage facility site offers convenient and affordable solutions that make packing and storing easy. 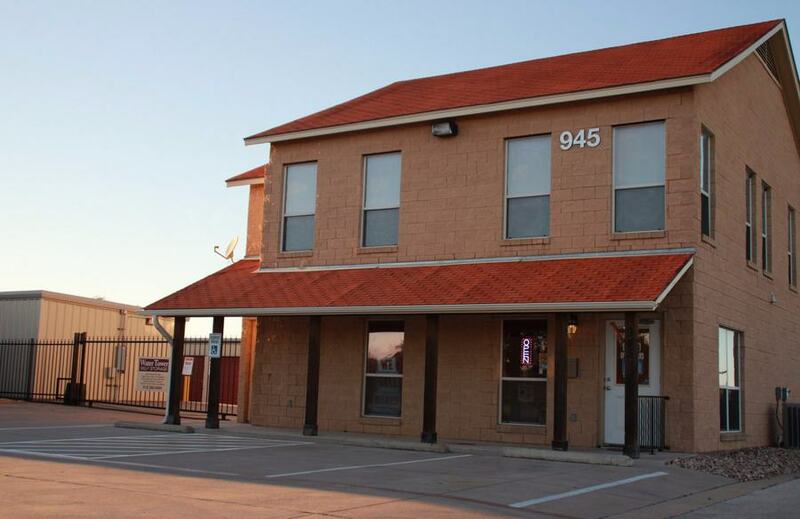 We work hard to exceed your expectations and provide you with the highest quality self storage rental facility around. At Storage Water Tower, we anticipate what it is our customers need when it comes to packing and storing. At our facility site, we offer special features and amenities to make your life as simple as can be. Find climate controlled units, easy drive-up access for loading and unloading, as well as RV & car storage. 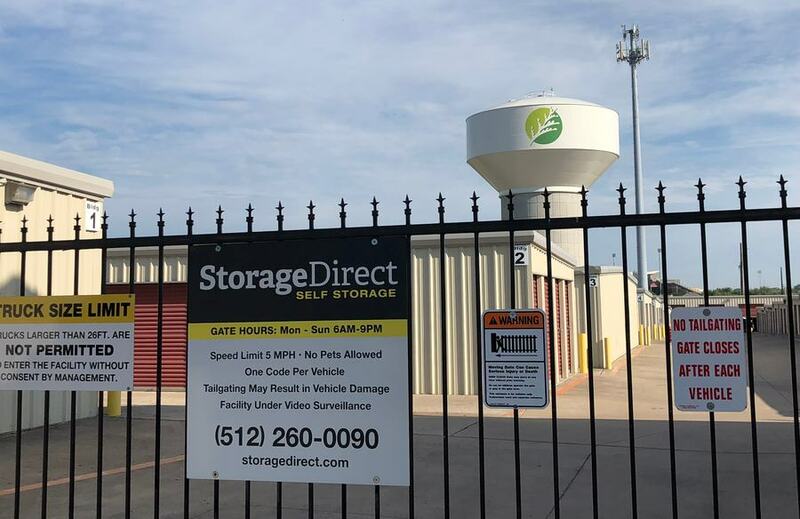 Nowhere else will you find self storage rental units in Cedar Park, TX with such high security standards than at Storage Water Tower. Our facility is outfitted with state-of-the-art security technology including video surveillance 24 hours a day, 7 days a week. We want you to feel completely comfortable with whatever you want to leave on our site. 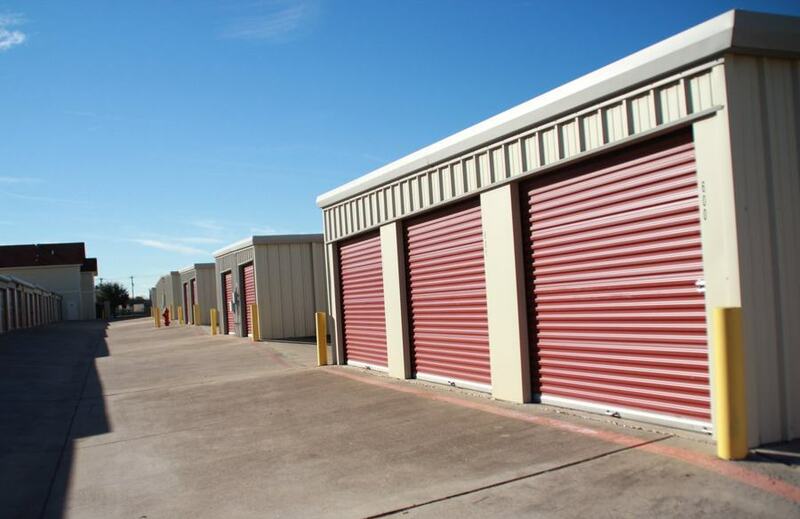 When you rent a storage rental unit from us, you get help from a team of experienced professionals. 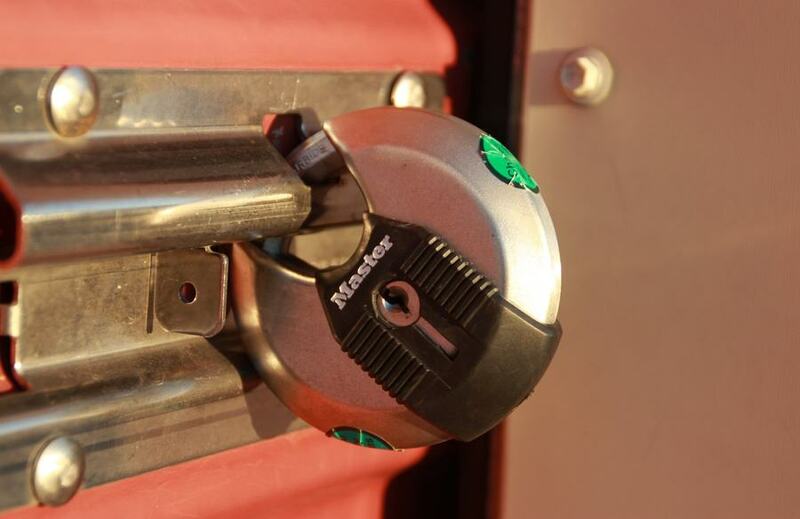 Our managers have been in the Self storage industry for years, and know exactly what it takes to provide you with affordable, high quality solutions. Our specials and coupons to rent units can’t be beat. Visit the Chamber of Commerce for information on our community.